Since becoming a mother, I have faced more criticism in these last three years than my entire 36 years combined. From our parenting style, to lifestyle choices and what we feed our child. Social media has a way of distorting reality – more often than not, unrealistic pictures are painted leaving some of us more open and honest moms feeling a bit sub par. I started noticing comments on my posts (and others) making snap judgments, placing blame and using that freedom of speech a bit too much. Being a mom is constant learning process and I don’t see that slowing down any time soon. We’re all doing the best we can with what we have. Yes, mistakes will be made along the way, but WE ARE HUMAN. I think it’s important to find a support network of other mothers who will make you feel empowered, provide guidance without judgment and have an open line of communication. That is why I have decided to start a series of “Motherhood Truth” topics where we share tips, tricks and ideas that might be able to help any other mothers out there who might be facing the same struggle. So, stop comparing your “imperfections” with those who appear to be perfect…I’ll fill you in on a little secret…most people do not openly share struggles and only share the good, positive moments (clean house, well-groomed child, good behavior, etc.). This series will be somewhat of a journal – a very candid, honest look at some mama truths. She LOVED all foods in the beginning! 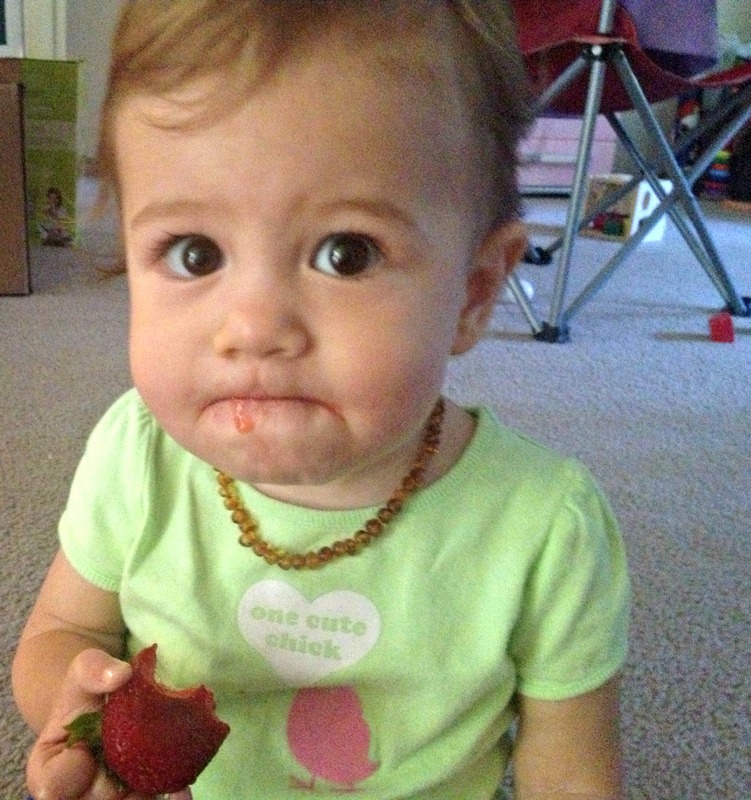 She tried some cantaloupe, but didn’t like it! It’s hit or miss with this fruit! I’ll never forget when I shared a bit on Instagram about my battle with picky eating. Most of the feedback was reassuring and encouraging, but some people placed the blame on me as a parent for Willow’s finicky ways. I realize that I open myself up for criticism when I share some truth, but I do it with the hope that someone else will say, “No way?! Me, too!” I believe in being honest and real – never pretending that struggles don’t exist. Before we dive into some tips and tricks, below I have provided a short list of blogs (my go-to sites) that have some great kid-friendly recipes! 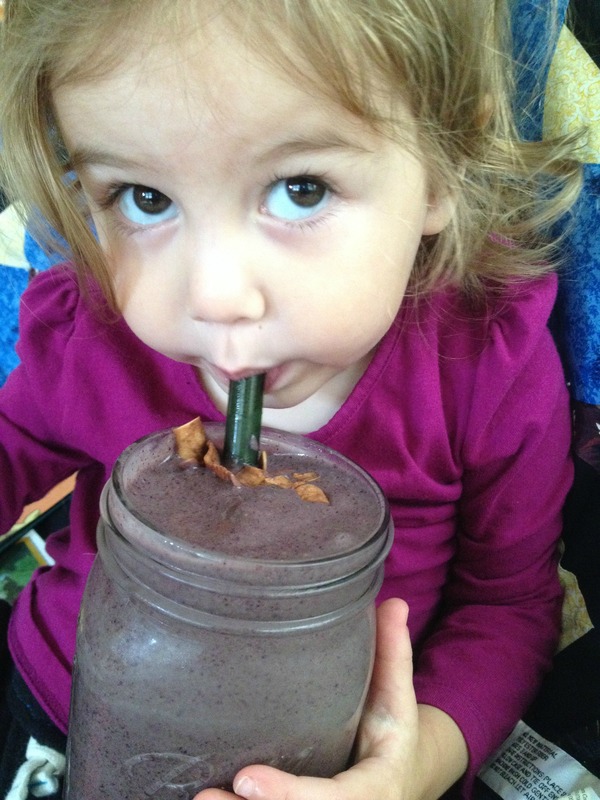 We have the most success at breakfast time (mostly because she’s often times not hungry come dinnertime) so we take advantage and pack in as many fruits & veggies – usually in the form of a smoothie. We’re able to add in spinach or kale, spirulina (and other superfoods), carrots, and various fruits. 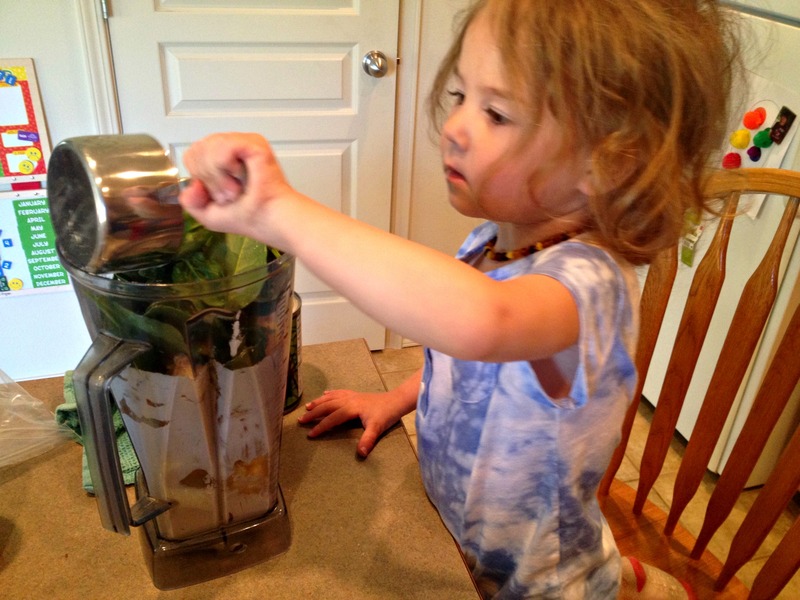 Lately, Willow is the one requesting a green smoothie – makes me feel like I’m succeeding a bit! Make food FUN! Turn fruits, veggies, pancakes, sandwiches and more into fun shapes! Cookie cutters of all sizes can help make meal times more appealing. Also, incorporate a lot of color. We DO NOT force Willow to eat something she’s not interested in and we most definitely do not force her to clear her plate. We do, however, do our best to encourage her to try new things. Along the same lines as not forcing, we just let her be at dinner – we have found that focusing more on what’s in front of us (on our plates) and not what she is or isn’t eating, allows her to discover for herself. She DOES NOT like us to watch her eat. Don’t freak out if she doesn’t want to eat – realize that kids will tell you when they’re hungry. Willow isn’t a fan of certain textures, so we keep that in mind – we’ll puree veggie soups as opposed to leaving them chunky – which also allows us to sneak in extra veggies that she wouldn’t ordinarily eat. We also keep in mind the foods that she DOES love and play on that. One of her favorite meals is mac n cheeze with my homemade cheeze sauce – it has hidden veggies in it such as carrots, onions, sweet potatoes, but sometimes we change it up and use the usual cashew base and add in red bell pepper or recently spinach. Continue to talk about the importance of vegetables – they keep us healthy, help us grow strong. Be honest about ingredients. 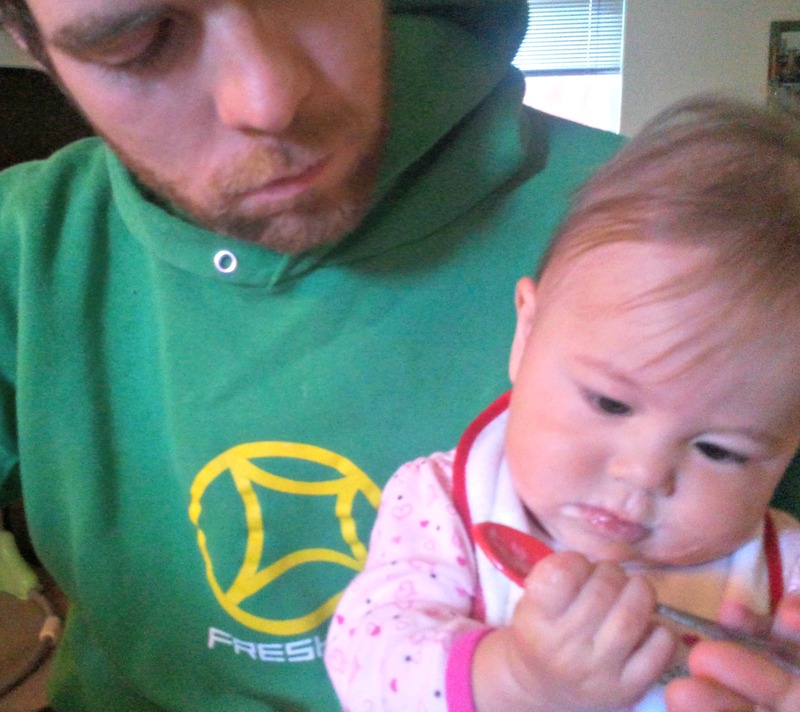 Be the example and eat our veggies/fruits – also dramatically emphasize how delicious something is…tends to peak her interest which leads her to take a bite or at least smell foods. Provide dips/sauces for veggies and new foods. Involve her in grocery shopping and food prep – all the while discussing what each ingredient is and their benefits. Make things bite size or smaller and we tell her that we made it “Willow size” – just for her. She gets really excited! 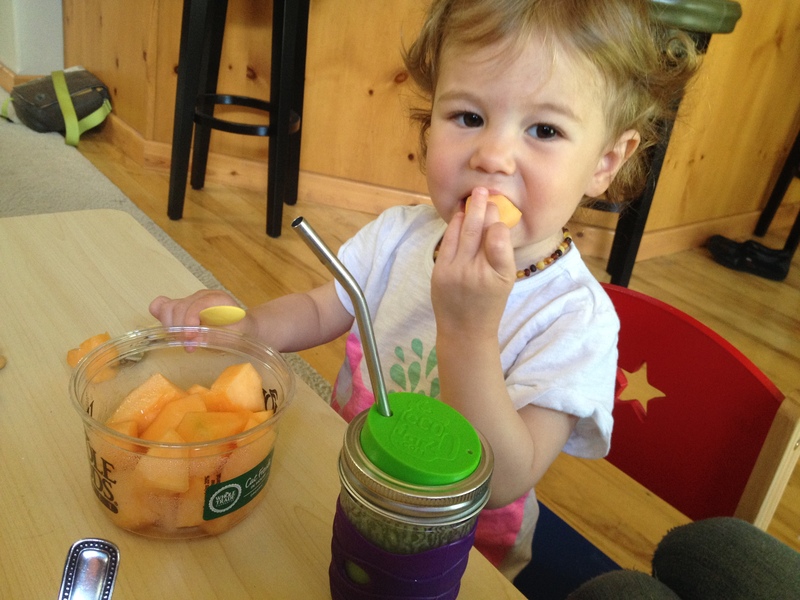 Limit her snacks – less snacking means eating more at meal times…also increasing our chances of her trying new foods. Praise her for trying new foods and/or eating well. This last one doesn’t always work, but there’s an episode of Daniel Tiger that she really likes: Be a Vegetable Taster/Daniel Tries a New Food – and within that episode is a strategy song and we occasionally remind her, “Try new food, it might taste good.” Sometimes she’ll actually take a bite and try it. Smoothies are our go-to way of packing in all the nutrients. This one here has lots of blueberries and spinach. Here are some tips and tricks from a few of my favorite Instagram mamas! “As a mother of 4 children, picky eaters is a topic I’ve struggled with often. Like everything, sometimes I handle it with grace and acceptance, while other times it drives me crazy. But mostly these days I’m pretty calm about what my girls eat (or don’t eat). I also remember being a very picky eater as a child and that feeling of being bullied and abused into eating food still hurts and has formed poor eating habits (that I have worked to overcome) as an adult. So I really try hard to be respectful of my girls and honour their spirits by not coercing, punishing, or forcing eating. – raw veggies: almost Every lunch and dinner in my house includes a side of cut up raw veggies. I know my girls will always eat carrots, cucumber, broccoli, avocado, and celery. So if I’m making casserole (that I know they will likely not eat) I feel good knowing they at least ate some veggies. -“build your own” dinners: We do this with salads, rice bowls, burritos, sandwiches, pizza. I prepare everything separate and arrange it on plates on the counter and allow my girls to each make their own dish. It’s fun and gives them a chance to feel like they are in charge if making healthy choices. “So, luckily my kids are fairly good eaters for the most part, but then again maybe it isn’t luck at all…? I’ve always fed them a fairly diverse array of food, including lots of veggies, fruit, legumes, whole grains etc. I’ve also always tried to make things/recipes healthier by adding extra ingredients like hemp hearts, hemp protein, chia seeds, flax seeds, nuts, coconut oil etc into baking and such. There have definitely been spurts of pickiness along the way, and I used to really stress about it, but I’ve realized that it’s pretty normal and kids tend to go through this from time to time. I just keep offering the healthy stuff, but let them choose what they want to eat. They have always come back around. If it’s just peanut butter sandwiches and apples for a couple of days, no big deal. My oldest was a pretty big fan of green smoothies, so that always made me feel a little less stressed about his diet. My second never liked smoothies, so that kind of stressed me out a bit, but I gave discovered that he really likes the Vega One Nutritional shake, so we do that a few times a week. I try to make a lot of stuff from scratch and try to avoid the sugar and preservative laden pre-packaged food. Of course this isn’t always possible, but at least I know that the majority of their diet it nutritionally sound. 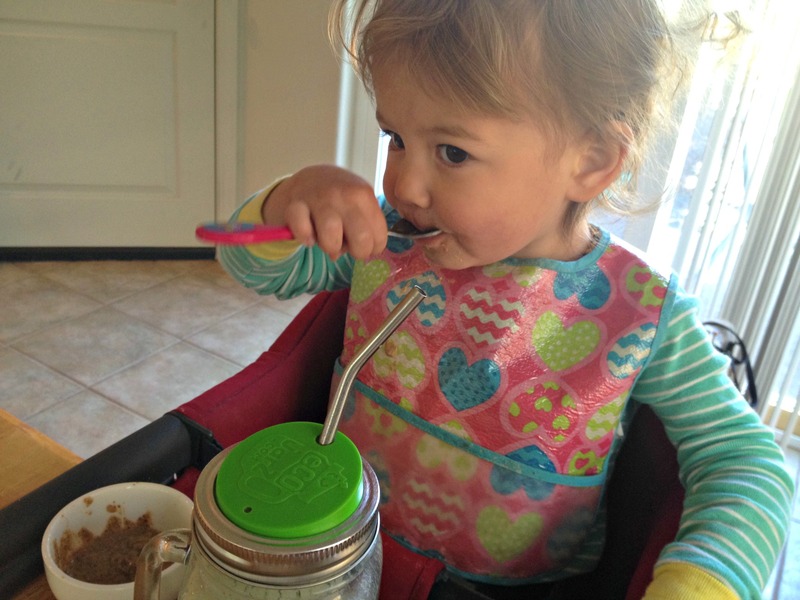 Somer provided a great link to an article about picky eating…please check it out! “The most important goal is: to get the toddler to eat what is necessary for their daily intake of all the different food groups/recommended totals. What that means is that I always provide a grain (typically brown rice or quinoa), a vegetable (either steamed or roasted), and a protein (this could be anything from tofu to beans, anything soy, or even nuts/seeds – so a pbj totally works). Fruit is optional because he always has fruit type snacks (like apple and pb) thru the day. I get creative.. sometimes we make the beans or chickpeas into a dip or hummus… he likes really simple flavors. It’s hard because I refuse to cook him a separate meal, but I know he’s picky… so I just prepare. While I’m cooking, he snacks on veggies, cold beans, and other things.. He likes things that are simple and have a little sea salt on them.. when flavors get complex or food is all mixed together.. he doesn’t like it. So here’s my secret… if I’m making something that has a sauce (like general tao’s tofu or roasted bbq chickpeas), I just give him that protein without the sauce (so I separate it out before I mix it all together). It’s much easier to give him everything separate before anything is mixed! Since I know Liam isn’t a big fan of change or flavor I’ll then take the beans (whatever kind) and flavor them with cumin, garlic, and sea salt – that’s his go-to protein. If it’s tofu, I’ll give him raw tofu or just baked with a little salt/pepper on silicone mats.. so I don’t even use oil. We don’t do a lot of soy, so we focus a lot on beans/quinoa. Here’s another tip… give food in an order… I know Liam will always eat his protein (that’s his favorite part), so he gets his veggie first– he prefers to eat all veggies raw, so that’s what he normally will have, if steamed he gets a tad of sea salt… then his grain, then his protein.. followed usually with frozen blueberries if he eats his plate. I give him the correct portions (I measure all of our food out… ex brown rice – we all get 1/2 cup). One last time… determine how many bites at the beginning of the meal. He usually has to take 5 to 10 bites of everything. If it’s new, he just has to have one bite and then more depending on if he likes it. Texture is HUGE for toddlers and I find it has a lot to do with the picky eaters. So all in all, simple flavors and keep it as raw or unseasoned as possible. I never started him on sauces and I think that’s why he isn’t a huge fan. Also, reward with healthy foods (ex frozen blueberries, a few tortilla chips, or a green smoothie made to taste like chocolate milk). Never bribe with candy/typical desserts. “1. Explain to them what the ingredients are but not in a fairytale way. I.e. I wanted my daughter to try curry rice so we told her a bit about how it was a traditional Indian dish and some of its roots. Or other interesting herbs for example that come from remote areas. I’m not a fan however of telling them magical stories that the beans come from Santa Claus 😉 who knows though, maybe that works for some! Also different ingredients help their bodies. I.e. the iron in spinach and it’s role in helping their blood or protein for building their muscles. 2. We have a Dr Seuss “try it try it and you may” rule. It’s from his story Green Eggs and Ham. I always use that phrase and reinforce that the kids should always try something, if they really don’t like it I won’t force them to eat it. 3. If I make something I know they like but they don’t want to eat it, I won’t force them to eat it but they can’t have any snacks until the next meal unless they finish it. 4. I try to involve them as much as possible, from picking the groceries, the recipes, cutting ingredients, blending, table setting, anything. Thank you to all who contributed! I hope this post helps some of you or at least helps you feel less alone. 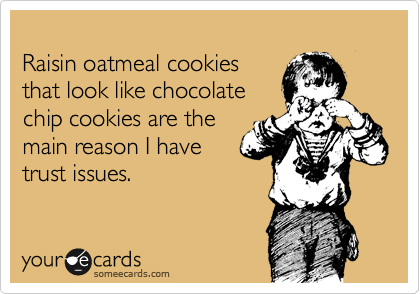 If you have a picky eater, what are some of YOUR tips/tricks?! Feel free to comment below! This was such an interesting, great article and I don’t even have a kid! Makes me want to go borrow someone else’s child and try some of these tips! Great job Mandy and everyone who contributed their thoughts! Great writing! Being a mom is the hardest and most rewarding thing we can do, you are doing great. I went through this with 3 children (all grown now). Two of my grandchildren who I watch 3 days a week the 3 year old is going through this now. No big deal it will pass and he’s not starving lol. Hang in there your doing great! Thank you so much! Yes!!! Hands down the hardest, but most rewarding “job” I’ve ever had. It’s so reassuring to hear you say that it will eventually pass – haha! It’s so frustrating sometimes, but I’m working on not stressing over it as much. Thank you, again!! Wow, thank you SO much for the kind words! The selective eaters can be so frustrating, but from what everyone tells me, they grow out of it 🙂 We’ve recently learned that our daughter isn’t absorbing protein like she should, so now we have to feed her every two hours. Sounds like you’re doing a great job and that you’re in tune with your daughter.